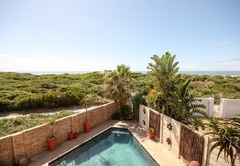 House Haven Guesthouse is one of the highly recommended Bluewater Bay guest houses and provides accommodation in 6 guest rooms for tourists visiting the Port Elizabeth region. 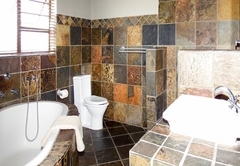 House Haven Guesthouse can be found in Bluewater Bay, Port Elizabeth and offers luxury bed and breakfast accommodation. 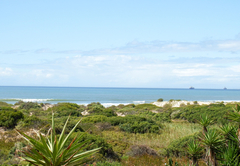 Our comfortable guesthouse is peaceful and a lovely place to relax and enjoy the magnificent sea views. Watch whales and dolphins frolicking in the bay during season and enjoy a number of other activities in the area. 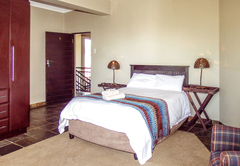 Each room has DStv / cable TV, fans / heaters, coffee and tea making facilities, a room safe and a hair dryer. 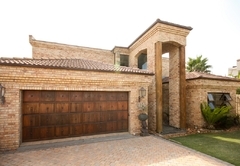 There is secure parking, internet facilities and a swimming pool on site available for your use. 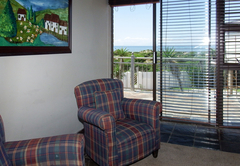 Sea view room with a balcony, double bed, bathroom with a shower, kettle with tea and coffee facilities and a TV. 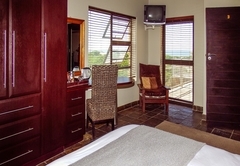 Sea view room with a balcony, queen bed, bathroom with a bath and shower, TV and tea and coffee facilities. 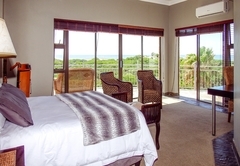 Sea view room with a balcony, queen bed, bathroom with bath, TV and tea and coffee facilities. 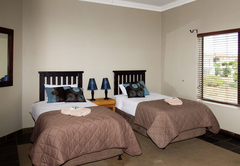 Twin room with two single beds, a bathroom with a bath and shower, TV and tea and coffee facilities. Garden room with a double bed, TV, bathroom with shower, kettle with tea and coffee facilities and a private little garden. Double room with an en-suite bathroom with a shower, TV and tea and coffee facilities. Bluewater Bay has many attractions including the Bayworld Museum complex, the Cape Recife Nature Reserve, St Croix Island Marine Reserve, exceptional beaches and a number of wonderful restaurants and bars. 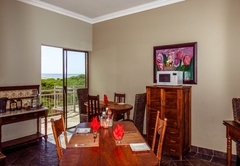 Sea view room with balcony, double bed, bathroom with shower, kettle with tea and coffee facilities, TV. Beautiful sea view. 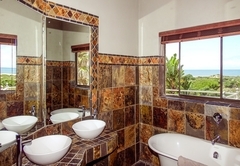 Sea view room with balcony, queen bed, bathroom with bath, shower and 2 basins. TV, tea and coffee facilities. Beautiful sea view. 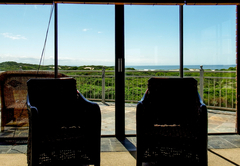 Sea view room with balcony, queen bed, bathroom with bath , TV, tea and coffee facilities, beautiful sea view. 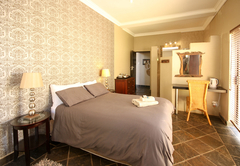 Twin room, two single beds, bathroom with bath and shower, TV, tea and coffee facilities. Garden room, double bed, TV, bathroom with shower, private little garden., kettle with tea and coffee facilities. Thank you so much for your warm hospitality and great welcoming! it's a wonderfull place to end our amazing trip in South Africa. Had a great time. Thank you very much. Thank you for opening up your beautifull home to host uss over the festive season. It truly has been a pleasure to have a host willing to make us feel comfortable in their home. The food was amazing. May the good Lord bless and keep you happy. Response timeHouse Haven Guesthouse typically responds to requests in 5-10 minutes. Early check-ins are possible if arranged prior to arrival. Should you be arriving after 18h00 please call us on our mobile number 30 minutes before arrival. Late check-outs are possible if your room has net been booked for the evening.